PokerChip Race, our multiplayer battle organized in partnership with Winamax, has been called! Out of the 959 players who tested their luck, 449 went “all in” as they pushed their AI into the arena. During the second week, we saw a new challenger appear out of nowhere: xylo upped the ante! When he positioned his AI in the arena, xylo was ten points ahead of his opponent. We’re not bluffing, CodinGame’s HQ was feeling mad pressure and worked overtime to repair the problem. We did our best to explain the inconvenience in IRC while we were reposting the players’ AI in the arena. As promised, Winamax will be contacting the top 30 contestants to join them at their Open Day on October 4th, 2014. Congratulations to all the participants! 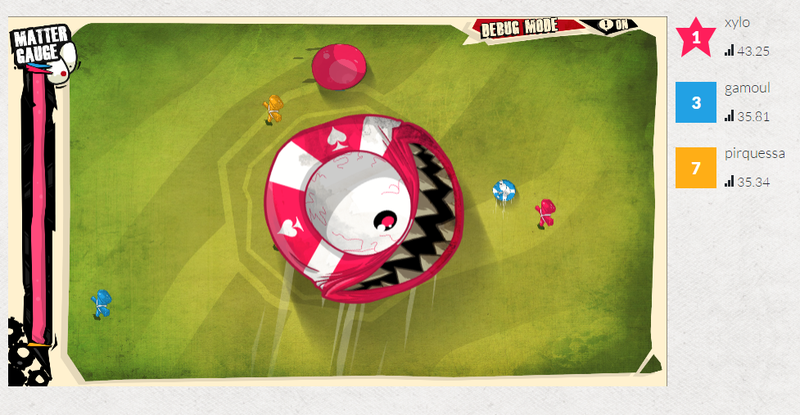 You will soon be able to play PokerChip Race in the Multiplayer section on our site.